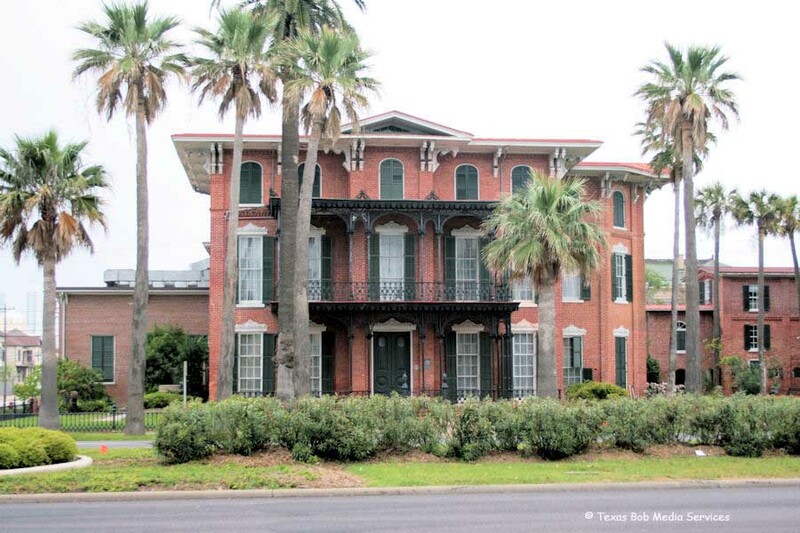 Built in 1858-59, the first of Galveston's Broadway "palaces," as well as the first brick house to be built in Texas. The artistic and eccentric Miss Bettie Brown was mistress of the manor, and her life-size paintings still adorn the showy Gold Room. When the villa was almost razed in 1970, Galveston Historical Foundation led a campaign to save it, and now manages it as a house museum. Galveston was occupied by Federal Troops October 5, 1862. The following January 1, 1863, Confederate forces under Maj. Gen. John B. Magruder attacked and expelled occupying Union troops from the city of Galveston. During the occupation of Galveston and in the days after June 19th 1865 the Ashton Villa was used as the headquarters for the Union Forces. On June 19th, 1865, eighteen hundred union solders, under command of General .Gordon Granger, landed in Galveston, Texas. ; Upon arrival, Granger published several General Orders, outlawing all acts of the Texas legislature since secession, paroling most Confederate soldiers, decreeing that the cotton crop could be sold but only to Northern factors, and most importantly: "The people are informed that, in accordance with a proclamation from the Executive of the United States, all slaves are free." "Since Lincoln's Emancipation Proclamation of January 1863 had had no practical effect in most of the South, African-Americans in Texas traditionally count June 19, "Juneteenth," as the day they were actually freed, and celebrate it as a major holiday. The rest of Granger's order, however, has been largely forgotten: "The Freedmen are advised to remain at their present homes, and work for wages . Unlike slaves farther east, very few, less than fifty, Texas slaves fought in black Union regiments. ;Many did run to Mexico, but they had little idea what life in freedom would be like. ;The "forty acres and a mule" that many believed would accompany their liberty was a dream and an aspiration, but nobody ever promised it to them. ;When they discovered that freedom meant freedom to look after themselves after generations of being fed and clothed and told what to do, the result was as grim as Lafayette had predicted to Sam Houston forty years earlier. ;Although Texas is the only state to recognize "Emancipation Day" as an official holiday, it is celebrated in many areas throughout the U.S. They are informed that they will not be allowed to collect at military posts; and that they will not be supported in idleness either there or elsewhere." The full text of the order reflected the Union Army's experience throughout the South, that the emancipated slaves believed that freedom would include jobs or some other material benefit. ;Texas slaves had been very isolated both from the fighting and from the possibility of escape on the Underground Railroad.